The classic kettle profile gets an update with the 18'' Deluxe Weber Style Grill With Decal Printing, but the grilling and the fun of cooking over live fire are as legendary as ever. The large grilling surface of the new 18" Charcoal Grill makes it the go-to grill when you're cooking for both large and small groups, and the Chrome Plated Steel Cooking Grates sears foods and is solidly built to last for years of trouble-free use. The firebowl and lid are all colored enamel, with Decal printed pattern to give this round charcoal grill a unique and attractive look. Customized pattern printing is available. 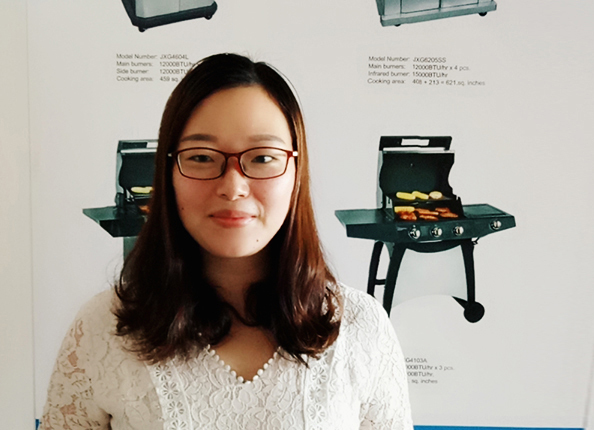 We also provide a wide range Outdoor BBQ Grill, such as Propane Gas BBQ, Portable Gas BBQ,Nature Gas BBQ, Built-in Gas BBQ etc to meet all customers' demands. Looking for ideal Decal Printed Kettle Charcoal Grill Manufacturer & supplier ? We have a wide selection at great prices to help you get creative. All the 18 Inch Premium Charcoal BBQ are quality guaranteed. We are China Origin Factory of Customized Pattern Charcoal Grill. If you have any question, please feel free to contact us.